Support CooP-Africa and help school children, health volunteers, farmers and small entrepreneurs in Africa. 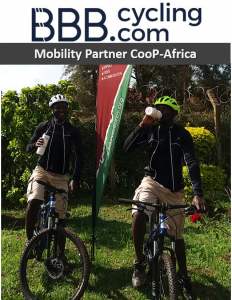 Sustainable support to people in Africa who use a bicycle to get better access to education, health care and income is in line with the philosophy of many people, companies and organisations in the world. Demonstrated commitment to the mission of CooP-Africa improves your image, increases the positive media attention and will get a lot of appreciation from your customers and partners. But it will mainly make a world of difference for the target group in Africa. 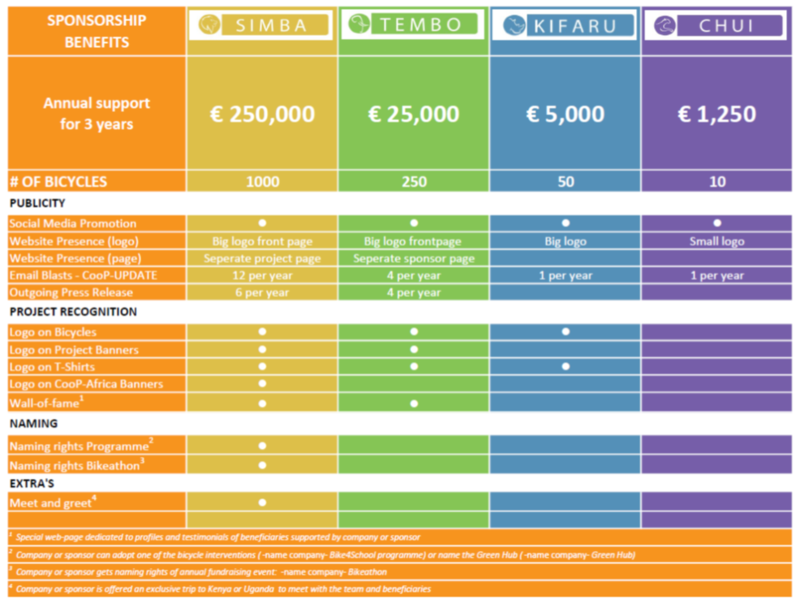 Become a partner of CooP-Africa with your company, organization or club!